This block is made out of 2 squares of fabric. Yes, just 2 squares of fabric in contrasting fabrics. With this technique you’ll end up with lots of bias seams. To handle bias seams more easily you can starch your fabric before cutting it. The finished block is 10 1/2 inches square. Rose garden star uses this block. 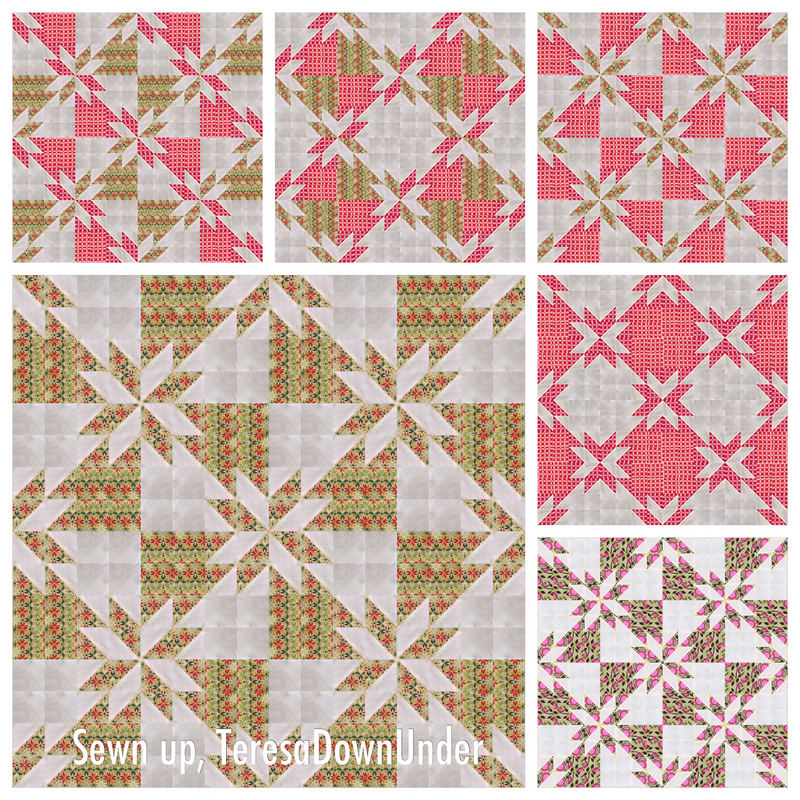 The pattern is one of 23 quilt patterns in my book “Turnabout Patchwork. Simple quilts with a twist“. The book is all about playing with blocks – making a block, slicing it up, and turning or repositioning the pieces to make a completely different block (sometimes two smaller blocks) to yield endless quilt tops. I just love how easy you make quilt blocks appear to be. The videos are great, but I keep hoping you’ll be posting instructions again as well. I know that takes a lot more time on your part, but I do miss being able to have instructions that I can take to my sewing table to use. Will you possibly be doing those in the future again? I’m sorry to ask and please don’t take this as a complaint because I’m not going to unsubscribe because of this. I was just wondering. This is one of my favorite blocks and you just made it look so easy. Thank you! wow, you really simplified that block. i took a class years ago and the teacher was ridiculously strict on matching points, and it wasn’t fun. my quilt turned out beautifully but i was pretty sure i would never make another. Thank you. I value your feedback and I don’t take it as criticism. I may do a full quick quilt mini pattern out of this one in future. This is an easy way to do it but not sure how many bias edges you will be dealing with. Different from how I did it. You’ll be dealing with lots of bias edges. I find with small pieces there’s no problem. Just repeat the tutorial with 2 other fabrics with one of them being the third colour/print if you know what I mean. Gracias por el tutorial!! Parece tan fácil en tus manos!! Great idea! If I wanted to do a scrappy…just keep background consistent? Wow! i love this block and you just made it so easy! Love your tutorials, wish you would write a book! Here's the video I was talking about. Amazing… I have never made one because I was told it was to hard, thank you for this tutorial Now I know I can do it.. Would-be ok to starch the Fabric before the cuttings. Betty Starching your fabric would be a great idea so it doesn’t stretch as much. Is there any chance you have the directions for a finished 12 1/2 inch square? I’d love to try this, but all of my blocks, so far, are 12 1/2 inches. I’m making a quilt with all new designs I haven’t tried before. I love the look of this block, and as usual, you make it so easy. Thanks for all of your tutorials. That is awesome! I will definitely try it. Thank you. I made it’s block for a baby quilt. It was very easy and went together perfectly. I challenge myself ( unintentionally) when I sew because I get in a hurry. This one was perfect( as perfect as I can do anyway). No challenges. Thanks for the tutorial, it makes it easy to cut and put together. 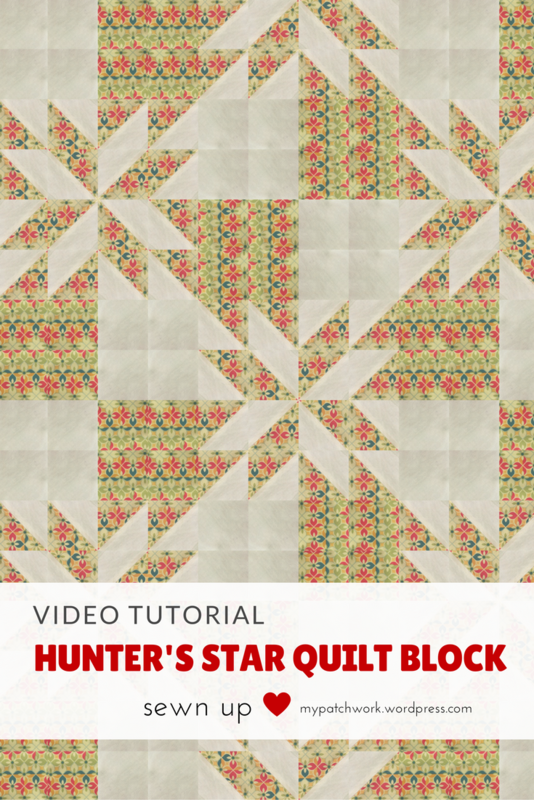 Hi – I just made two quilts from this Hunter’s Star block and they turned out great!! I made one with 10 inch Layer Cake and the other one was made from 18 inch Fat Quarter with a full block of 45 inches. They were so easy and great for clearing out my stash. I love this pattern so much I think I will keep on making them with all my Fat Quarters or Layer Cakes. They are so colourful. I’m glad I found this on your site. Marilyn R.